Below are some of the testimonials that Tom and Sandra have been given over the years for their work. “Tom is inspirational. His approachable nature and wealth of experience make him unique as a teacher, therapist, colleague and human being. If you want to grow I recommend sun, food water and Tom.” ~ Bobby Keeling. “There are many reasons I decided to become a therapist – Sandra is one of them! She is insightful, enthusiastic and knowledgeable as well as being a very talented therapist. I would (and have) recommend Sandra to anyone.” ~ Nigel Smaller. “Without doubt Tom proved himself to be an excellent coach and teacher. My time was the most beneficial of my life. Tom sets a high standard with ease, fun and absolute professionalism.” ~ Sandy Robson. “Sandra is probably one of the most gifted and talented therapists in the UK. Genuine, intuitive and a true natural therapist.” ~ John Plester. “Tom is dedicated and passionate. His inventive and intuitive approach provides very effective results. Tom’s spontaneous and therapeutic nature backed up with a successful professional experience offers fascinating insight into the field.” ~ Monika Sleszynska. “I came to know Sandra as a compassionate and insightful therapist who was able to apply her understanding of theoretical models and her passion as a professionally practising psychotherapist. I have no hesitation to recommend Sandra as a responsible clinician and expert educator.” ~ Martin Laurent. “I thoroughly enjoyed my time with Tom Barber. His passion and commitment to sharing his knowledge with others is a wonderful asset and he does it with great warmth and good humour. I would not hesitate to recommend him.” ~ Hannah Lamb. “Sandra is very professional in her work and her attitude to others. She has an easy and relaxed demeanour and you would immediately feel at ease in her company. I would recommend anybody to use Sandra.” ~ Martin Harrison. “Tom is a fantastic facilitator. Impeccable degree of knowledge in which he makes his teachings an ease to understand, absorb and reflect upon. 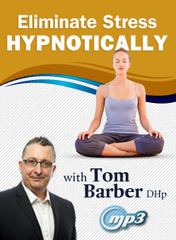 Anybody thinking of taking up hypnotherapy needs to speak with Tom. You won’t find many trainers like him!” ~ Phil Griggs. “I can’t recommend Sandra highly enough. She is professional whilst being warm and humorous. She provides training of the highest quality in a supportive, empowering way.” ~ Marilyn Griffin. 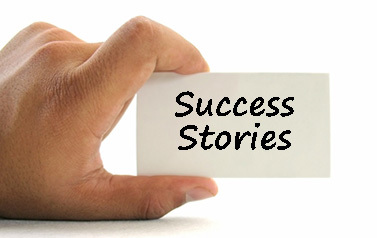 You can read more testimonials of our work at this link.